Western Cape Minister for Economic Development and Tourism, Alan Winde, will meet the famous Prince Harry the Hippo tomorrow. The baby pygmy hippo was born in March at the Cango Wildlife Ranch in Oudtshoorn and is being hand reared after his mother rejected him. Minister Winde says this is a rare opportunity to see a baby hippo in real life and a great tourist attraction for the Western Cape. The will be an opportunity for interviews and photographs. AFDA the school of motion picture and live performances will host the CILECT bi annual in Cape Town.CILECT is an association of more than 140 film and television schools across the world. The Congress theme “UbuntuFilmEducation” has been chosen to focus on sharing and collaborations between institutions ,lecturers and students. According to Joey Fourie of AFDA CILECT represents the “brains trust” responsible for ensuring the growth and development of the film field worldwide. Mathole Motshekga and Ronnie Apteker will be the keynote speakers. The Northern Gauteng High Court has ruled that the City may continue changing street names in Pretoria. This means that the bid by Afriforum to have an interdict granted against the City to stop the process, has failed. Subesh Pillay the City Mayoral Committee member says they will now proceed with name changes. AfriForum will opposed the Tshwane Metropolitan Council's decision to change 25 Pretoria street names in court. The kidnapping of 12-year-old Nayati Moodliar has drawn the attention of Malaysian Prime Minister Najib Razak. The boy was kidnapped outside his school in on Friday. The Malaysian Prime minister has been using Twitter to show his support to the family and also tweeted that he had instructed the Chief of police to investigate the incident. The Department of International Relations and Co-operation say the father of the boy is South African but the boy has a Dutch passport and so the Dutch authorities are taking the lead in the investigation. The department’s Clayson Monyela. The African National Congress has confirmed that the former Co-operative Governance Minister Sicelo Shiceka passed on. Shiceka was fired last year after Public Protector Thuli Madonsela released a report which found, among other things, that Shiceka had abused public funds. Shiceka had been on sick leave since February 2011. ANC`s Spokesperson in the Western Cape Cobus Grobler said that they are saddened by the death of Mr Shiceka. A body of a six year-old girl has been found by the Eastern Cape police.Anelisiwe Sous went missing on Friday in Humansdorp. Anelisiwe’s family and neighbours searched throughout the night on Friday but could not find her. Eastern Cape police Spokesperson says the child had apparently been raped and she had a deep bruise around her neck. Police are questioning three teenage boys from another community about the murder. 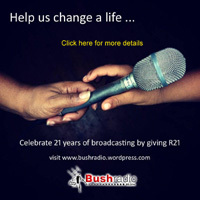 On the 16th of April 2012 ICASA announced that Sentech's average decrease in signal distribution costs for community radio is 65%, and 33% for community TV services. MDDA's CEO Lumko Mtimde said that this is the move in the right direction, and that they hope that a more differentiated structure will be regulated. An aircraft crash in Margate yesterday has left one woman dead and the pilot critically injured. Reports show the pair was flying around in a rally aircraft around Margate Airport when the plane struck the ground. Netcare 911’s Chris Botha said when paramedics arrived at the scene the entire plane was engulfed in flames. He added that the female passenger died because of the severe injuries she had sustained. The pilot sustained serious burns and was treated on the scene. He was later taken to hospital for further care. An investigation has been launched following the deaths of a game ranger and a police member in the Kruger National Park. SANParks said that the police member and a soldier were searching a section of Tshokwane for potential rhino poachers when they came under fire. The police member was then fatally wounded. The soldier then returned fire and killed the shooting, later finding out it was an on-duty ranger. Two parliamentary committee meetings allocated in discussing and finalising the secrecy bill by the deadline is not enough. The deadline is 17 May. Only two sessions has been set aside to discuss, adopt or alter the secrecy bill by the National Council of Provinces AD Hoc committee on the Protection of State Information Bill. The DA member of the NCOP in KZN Alf Lees said that they will deliberate for one day on Friday on any amendments to the bill. Lees added that the following week they plan to take a decision on whether the bill as amended should be proceeded with. Government should discard any legal challenge to the court interdict against the Gauteng tolls. DA Gauteng Caucus leader Jack Bloom said the best thing for government to do now is to accept the court interdict and not to challenge it further, cancel the tolls and pay back the e-tag money that people have already paid. He added the case can drag on for a very long time. Bloom said government can cut it short and do what everybody wants them to do and that is cut the tolls. Tanzania's ruling party has certified a demand by President Jakaya Kikwete that several government ministers should be sacked for corruption. The country’s auditor-general recently handed Kikwete a report implicating numerous political and state officials. The reports indicated cases of suspected procurements, bribery and fake job placements. Members of parliament are now demanding the firing of at least eight ministers. Today one person was killed and 15 other s injured when a grenade was thrown into a church in Kenya. According to the Red Cross an attacker, believed to be a member of the congregation, threw a grenade into the crowd at the House of God Miracle church. The blast left five people in critical condition. There has been an increase of deadly grenade attacks in Kenya since Nairobi in September sent troops into Somalia to target militant Islamist group al-Shabaab. The ANC may have to pay back a quarter-of-a-million-Rands donation the late Brett Kebble had made to the party. The trustees of the slain businessman’s estate are taking the case to the South Gauteng High Court on Friday. According to a newspaper the trustees claim Kebble got no value from the donation he had made eight years ago. But the ANC’s lawyers say Kebble gained from the access he gained to political decision makers. DA’s Gauteng Caucaus Leader Jack Bloom says that government should abandon any legal challenge to the court interdict against the Gauteng tolls. He says the very expensive e-toll collection contract must be cancelled and the money that people have spent on e-tags must be paid back immediately. He continued to say the e-tolls are effectively dead and the court interdict gives government a way to cancel its contract with the Electronic Toll Collection Consortium. The North Gauteng High Court ordered Sanral to put the system on hold with immediate effect. Opposition parties, unions and consumers have widely welcomed the ruling. A security guard is in a serious condition after he was found inside a drain at a company off Montague Road, in Montague Gardens early this morning. Emergency staff arrived on the scene after been notified by the security company that they had found one of their colleges inside the drain. According to Derrick Banks the paramedics managed to get the patient out using specialised equipment. The man had a head injury and multiple cuts and possible broken bones. Advanced Life Support intervention was performed on the patient before he was taken to a nearby hospital for further medical care. A single vehicle accident on the N7 in the direction of Malmesburg, has left three people dead. Four others obtained minor injuries. According to E24’s Derrick Banks paramedics arrived on the scene and they found a VW bakkie with the front part almost cut off. He continued to say two other occupants of the vehicle were found lying on the N1 underneath the N7. It is believed that they were ejected from the vehicle in the collision. Former International Monetary Fund chief Dominique Strauss-Kahn says his arrest and imprisonment on sexual assault charges last year was somewhat the work of his political enemies in France. Before the scandal, Strauss-Kahn was regarded as a frontrunner for the French presidency. In an interview, he accuses enemies linked to President Nicolas Sarkozy of helping destroy his chances. The French presidential vote takes place next weekend. Indications are than Sarkozy could lose to Socialist Francois Hollande. Another chapter in the e-tolling battle will be written today. Judge Bill Prinsloo is expected to hand down judgment in an interdict application by the Opposition to Urban Tolling Alliance. Following closing arguments on Thursday, Sanral suddenly announced that it would postpone the implementation of e-tolls on Gauteng’s highways until the end of May. This is the fifth postponement since toll tariffs were announced last year. South Africa has agreed to loan Malawi around a quarter of a million-Rands to relieve crippling fuel shortages. The announcement was made during President Joyce Banda's first visit abroad since taking office. Under the rule of the late president Bingu wa Mutharika, donors cut hundreds-of-millions of dollars in aid to the impoverished nation, due to concerns about his authoritarian rule. South Africa says the loan shows confidence in Banda’s leadership. Cape Town surfers and bathers and their visitors have been warned to stay out of the sea. Seven sharks have been spotted along the False Bay coastline. Shark Spotters raised red warning flags yesterday. They cleared several beaches, including Glencairn, Kogel Bay, Fish Hoek and Muizenberg. With the exceptionally high shark activity, the City of Cape Town appealed to the public to be alert and to obey the instructions of shark spotters and law enforcement officers. The leader of the Democratic Alliance Helen Zille says today is South Africa’s most important Freedom Day. Everyone born on the 27th of April 1994 can legally vote and participate in our democracy. Zille says these people are the born free generation and are the people who must lead the way to the fulfilment of Nelson Mandela’s non-racial, united vision for the SA. They are the generation that must carry South Africa’s hopes for the future. Steve Swarts the ACDP MP and spokesperson on transport matters has welcomed the announcement to postpone the implementation of the Gauteng e-tolls for a month. He says it clearly, good sense has occured in the face of rising opposition in the form of court action, strikes and mass civil disobedience. He continued to say that they appreciate the temporary let off and they believe that this is a significant victory against the so called “ill-conceived project”. The ACDP calls on the Task Team to investigate alternative methods of funding. Five people have lost their lives in a road accident in Naturena in Johannesburg. Two pedestrians were seriously injured. According to paramedics a 35-year-old woman had been driving the car which went out of control. The driver and the four men who were her passengers all died on the scene. Shocked bystanders say the impact was so great that the car split into two halves. The South African Students Congress has confirmed that they will be fighting for free education for all this year. At a media briefing yesterday in Johannesburg, Sasco stated how they think government can use the National Skills Fund and introduce security tax so that free education can be funded. Sasco’s general secretary Themba Masondo said the government does have the capacity to provide free education for all. He added that the government has to find ways in which to provide free education. Home affairs minister Nkosazana Dlamini-Zuma unveiled the new smart card identity document which was generally welcomed by people. Dlamini-Zuma said that the pilot project aims to replace the current green bar-coded ID book. She added that it has been on the cards since last year to pilot this smart card. She said that the department has been doing the work quietly and now they will also unveil the prototype of the smart card which the department and GPW have been working on together. MEC for community safety in the Western Cape Dan Plato has urged all motorists in the Western Cape to exercise caution over this long weekend. The MEC’s spokesperson Greg Wagner said the MEC has asked that motorists pay specific attention to buckling up and also to keep their lights on. Wagner added that motorists are also asked to stick to the speed limit, maintain a safe following distance at all times, not to drink and drive and to remain calm during stressful situations such as road blocks or being slowed down by road works. A 24 hour hotline is available to report any incident or problem on 021 946 1646. A campaign called South African Freedom Week will be hosted by the Right2Know campaign. The series of events kick-off tomorrow on Freedom day and will continue on 1 May which is Workers Day and 3 May which is World Press Freedom Day. The Right2Know’s Murray Hunter said they are calling a national week of action that they are calling freedom week. He added that events were organised in the provinces in which they are active in, where people can celebrate the freedom that has been achieved so far. Hunter said the events are also aimed at showing how far the country needs to go as a democracy, to strengthen freedom and to realise freedom and to achieve rights that people are still struggling for. The chairperson of the portfolio committee on social development, Yolanda Botha wants people who commit crimes against children and people with mental disabilities, to receive harsher sentences. Botha said she just wants to alert South Africans on what is happening is not right and that people with mental disabilities are vulnerable and need to be protected. She said that society has let people with mental disabilities down. Botha added that parents need to re-look their parenting in terms of child safety and to re-alert communities to keep children safe. She said alleged perpetrators should not be given bail because their victims are vulnerable and they can be influenced. The green bar-coded South African Identity Document will soon be replaced with smart cards. Home Affairs Minister Nkosazana Dlamini Zuma says that the smart cards will probably be introduced in six months time. Dlamini-Zuma says that the cards will root-out corruption in her department. Dlamini-Zuma says the identity document is too easy to forge and interfere with-that is the main reason her department has been having problems. Dlamini-Zuma added that the smart card will be linked to the department’s system which contains all the population data. Two people have died and three others sustained various critical injuries in an accident in Van Reenens pass this morning. Netcare911`s Chris Botha says that two heavy goods trucks and a light motor vehicle collided head-on on the N3 near the Tugella toll Plaza at the base of van Reenens pass. Botha added that when paramedics arrived at the scene they found the vehicles engulfed in flames. Botha further said that two occupants from one truck tragically died in the fire and the driver of the other truck has still not been found, and three other people from the car were in a critical condition. A Khayelitsha infant snatched up by a woman that claimed she was employed by government has been found. Three-week-old Asenathi Magoda was reunited with her mother Xoliswa on Wednesday. The baby went missing on Tuesday,when mother had left the baby in the care of the suspect,while she was going home to fetch her medical certificate. The police together with the community started with their search. Police Spokesperson Captain Frederick Van Wyk says that the suspect was traced down using the contact number she had used to contact Xoliswa. Van Wyk added that the suspect was found in a house,hiding in a wardrobe with the. Van Wyk added that the suspect will appear in Court soon. The National Sea Rescue Institute on Wednesday was activated to rescue a fisherman on a fishing boat near Simonstown. The fisherman had a serious head injury after being hit on the head by a rope on. NSRI `s Craig Lambinon says that when the rescue team arrived they found that the fishing boat was towing their another fishing boat towards Simonstown when the nylon tow-rope snapped and recoiled and during the recoil 28 year old fisherman Siphelele Matomela, from Saldanha Bay, was hit on the head by the rope. Lambinon added that the patient had to be kept on board because of the strong wind. Lambinon further said only after they got into the harbour the patient was transferred into an ambulance and transported to hospital in a stable condition. After the death of Mr Meyer this past weekend at the Durbanville police station, MEC for community safety in the Western Cape Dan Plato will request that the Western Cape police commissioner Arno Lamoer look into safety conditions at all holding cells at police stations. The man was held at the Durbanville police station for being drunk in public. Wagner said while holding cells become overcrowded, one cannot operate under the business as usual approach and extra safety measures will have to be urgently investigated. Residents from Samora Machel are setting up dwellings on the corner of Vanguard Drive and Highlands Drive in Mitchell's Plain. Bush Radio’s Mluleki Mrwebi spoke to residents who work in poultry farms in the area. He said that some residents confirmed that they were chased away from the farms which they worked at. That was the reasoning behind setting up dwellings on the piece of land. Mrwebi spoke to a local committee’s resident leader and he said police were at the scene this morning but they did not evict them. He added that the police just took pictures of them and told them that they are not involved in the issue. Yesterday a 54-year-old man was arrested by Goodwood police for fraud. The police’s FC van Wyk said the suspect defrauded people by posing as a legal representative and operated in Goodwood under the business name Legal Max. Van Wyk said the suspect would accept money from people with the promise that he will represent them in their cases. Clients later discovered he was not a legal representative and he never worked on any cases. Van Wyk said the suspect received R450 000 for cases such as accidents, illegal evictions and civil matters. The suspect will appear in the Goodwood Magistrates Court tomorrow. Any victims of the crime are requested to contact the investigating officer Detective Constable Cheslin Cuiens on 021 597 1760. Emergency services completed a 12 hour rescue of two Americans on the Hottentots Holland Mountain Range this morning. Two teams were sent out to find the two foreigners last night after receiving an emergency call. Emergency medical services in the Western Cape spokesperson Keri Davids said the search group split into two. One team searched around the Riversonderend side while the other team searched along the junction pool side. She added that the first team found the foreigners early this morning but it was clear they were not fit to walk down the mountain. The foreigners were treated for hypothermia and dehydration by the EMS rescue medics. Davids confirmed that the pair was unharmed. She said the pair was airlifted off the mountain range and they refused to be taken to hospital as they said the treatment by emergency medical services were sufficient. On Monday night members of the Woodstock police arrested a 36year old man for a business robbery incident that was commited in Salt River. According to FC Van Wyk of the SAPS while the owner was busy in the internet café three men walked in and forced all the customers to move into one corner. The suspects searched the victims and took R1 500 in cash plus a laptop. Minister of Higher Education ,Mr Blade Nzimande since last year has been calling for the development of African languages as languages of scholarship at South African universities. On Tuesday in Parliament the Minister said that there is still little progress that has been made so far. The Freedom Front Plus Leader Dr Pieter Mulder says that government need to increase funding to universities if they want higher education in more than one language. Mulder also says it is possible to develop an African language to the level of other languages. The ANC’s National Committee of Appeals has confirmed that Julius Malema has been expelled from the party and is no longer the leader of the ANC Youth League. Folyd Shibambo the league`s Spokesperson got a three year suspension and the Secretary General Sindiso Magaqa was suspended for one year. The Committee confirmed that the suspensions are with immediate effect. ANC Spokesperson Jackson Mthembu said that the party has welcomed the committee`s findings. Mthembu urged all the party members and the public to respect the committee`s decision. Police are looking for the suspect who shot and wounded a man outside of the Western Cape High Court yesterday. The 35-year-old victim who is from Bonteheuwel, had to appear in court to support his nephew. His nephew had to appear in court on a case which allegedly relates to a gang murder. Shocked bystanders watched as the suspect ran away and threw his gun away. The gun was recovered by police who are still investigating whether the shooting may have been gang related. The department of energy will confirm if the fuel price will rise by 21 cents a litre next week. Last month fuel prises shot up with 70 cents a litre. The Cape Chamber of Commerce and Industry’s president Michael Bagraim said the chamber is absolutely shocked about the new price hike. Bagraim said that somehow, somewhere, someone is not doing their job properly. He added that they are just passing on what ever expenses they have onto the general public. Bagraim added that this is not sustainable and it is not something that society can put up with any longer. The minister of transport S’bu Ndebele handed compensation cheques to residents of Mitchell’s Plain. The compensation cheques were given from the Road Accident Fund. Ndebele said the national outreach programme is aimed at the families affected by road accidents. He added that it is quiet important for the Road Accident Fund to be out there with the victims. Ndebele said most of the people don’t claim from the fund because they don’t know they can claim. Corruption Watch South Africa says they have been asked to investigate Mdluli’s reinstatement. Mduli returned to his post after charges of fraud and murder against him were dropped earlier this year. Corruption Watch’s David Lewis says they plan to publish all the information they have on the issue on their website. A meeting was held in Strand last night with the local surfing community and the City of Cape Town. The City’s Greg Oelofse said the meeting was very positive and everyone agreed that the shark spotting programme needed to be in place full time at the caves at Kogel Bay. Oelofse said it will take the City four weeks to get the programme up and running. He added that shark spotters need to be trained in spotting sharks and first aid. Last week 20-year-old David Lilienfield was killed by a great white shark in Kogel Bay. The roads agency announced that close on 50-thousand registered public transport vehicles still needed to be placed on the e-tag system which kicks off on Monday. The measure is part of adjustment to the draft legislation which allows for taxis, emergency vehicles and buses to be excluded from paying for tolls. The system’s implementation is being challenged in the North Gauteng High Court today. The Opposition to Urban Tolling Alliance has filed an urgent application in a proposal to stop the project. The South African Democratic Teachers Union has welcomed the resignation of Eastern Cape Education Chief Modidima Mannya. The Eastern Cape Education Department is overwhelmed with problems, with the conditions of the schools and poor matric results. Sadtu’s Eastern Cape provincial secretary Mncekeleli Ndongeni says Mannya`s departure from the department is a victory for all learners in the province. Earlier this year the teaching in the Eastern Cape was delayed by an intensive strike calling for Mannya`s resignation. Ndongeni added that whoever that will take over has a lot work to do. The investigation into the provincial government’s communication tender is dragging feet, according to the ANC`s Leadership in the Western Cape. The Public Protector, Thuli Madonsela was asked to investigate a tender which was awarded to TBWA Hunt Lascaris which is estimated at more than R50 million. ANC Provincial secretary Songezo Mjongile says that Madonsela is dragging feet with the inquiry. Mjongile also says the delays are unnecessary and urged Madonsela to release her report in the matter. The MEC for education in the Western Cape, Donald Grant announced that after much frustration, patience and negotiation, a decision has been made regarding the future temporary satellite school in Grabouw. The MEC’s spokesperson Bronagh Casey said the reason two temporary schools will be build is because the department will be able to ensure a school will be available for the third term. She added that both plots have been graded so that the department does not run into further challenges. The department will be able to decide which site is best after the initial ground work has been completed. The finance union Sasbo has encouraged their staff not to buy the controversial e-tags. The union also called on their 70 000 members not purchase the e-tags. The general secretary of Sasbo, Shaun Oelschig said they are against tolling of highways because of inflation and the impact of jobs. He added that they are also concerned about various aspects of the process in terms of how it came about. The union is also concerned about the appointment of peace officers before proper enforcement measures have been implemented. Chickens at a government project in Piet Retief in Mpumalanga have been forced to resort to cannibalism after being neglected. Grace de Lange from the Farm Animal Unit of the NSPCA said that just over 3000 broiler chickens had to be slaughtered humanely. She added there was a lack of food for a few days. De Lange said after viewing the horrendous conditions, it was decided to slaughter the birds humanely. Today the quarterly liquor conference took place and it focused on the roll out of the new Western Cape Liquor Act. Finance, economic development and tourism MEC in the Western Cape Allan Winde said the Liquor Act came into effect on 2 April this year. Winde added that on 12 March this year the new members of the liquor tribunal board were announced. He said that their job is to set up the new entity that is in process, and they are already advertising for a new CEO. A new liquor authority has also been set-up. Winde said today all the role-players came together to discuss the pros and cons and where liquor is hurting society. The role players include NGO’s, local government and businesses. He added that the discussions help to show the rise of the negative aspects of alcohol and the abuse of alcohol. WC Health Minister Theuns Botha introduces the Central Karoo district health council. Today the Western Cape Health Minister Theuns Botha introduced the Central Karoo district health council. Helene Rossouw the Ministers spokesperson says it is the fifth out of the Western Cape’s 6 district health councils to be introduced to the public. The founding of the district health councils is in agreement with the National Health Act 61 of 2003. The act specifies the establishment of District Health Councils. Labels: WC Health Minister Theuns Botha introduces the Central Karoo district health council. A taxi driver supposed to have been twice over the legal alcohol limit was arrested in Lenasia, Johannesburg this morning. He was transporting children to school.Wayne Minnaar of the Johannesburg Metro Police’s says the suspect told officers he had been drinking last night. Yesterday, a 37-year-old Alberton man on a motorbike was arrested for driving at 245-kilometres-per-hour on the N-1 near Nasrec. The man will appear in court today .According to Minnaar the biker was on his way home on his way home. South African artists join in on the awareness campaign in Autism. Over the weekend Yvonne Chaka Chaka and poet Lebo Mashile put their support behind children living with Autism in South Afirca. The Film and Publication Board`s Spokesperson Prince Mlimandlela Ndamase says that together with the Moonlight Foundation for Autism they held the event in Soweto on Saturday in order to raise awareness about autism in South Africa. Ndamase says in South Africa there is a huge numbers of children living with Autism although there is no clear figure. He also says they want to ensure that they are provided with necessary resources and support. Two people died and five others were seriously injured following an accident on Frere road in Glenwood, Durban. The accident happened late on Sunday, the cause of the collision is unclear at this stage, but the one vehicle, a VW Jetta, had allegedly veered out of control coming around a bend before colliding head on with a courier vehicle. Paramedics say they found two occupants in the vehicle which had sustained various fatal injuries, both occupants were later declared dead at the scene. ER24`s Andre Visser says the remaining three occupants from the Jetta were entrapped in the vehicle as bent rubber and metal had pinned the men in the vehicle. Visser added that rescue workers from the local fire and rescue services used specialized hydraulic rescue equipment to cut the vehicle in order to free the occupants. Visser says all of the men had sustained serious head injuries and received Advanced Life Support treatment at the scene before being transported to a nearby medical facility. The Minister of International Relations and Cooperation, Maite Nkoana-Mashabane, says local government is an essential part of foreign policy implementation. Nkoana-Mashabane was speaking at a public lecture in East London in the Eastern Cape. She says speedy urbanisation across the world requires cities to play a more effective role in the implementation of foreign policy. She further says cities can help strengthen people to people relations with other nations.